It's like Turner Classic Movies for dads. 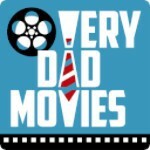 Get a behind the scenes look at the podcast about the movies your dad loves. A movie for dads who are interested in time travel. Here’s what all the cool dads will be watching this summer. Maggie and Will set out to answer the question, “Whatever happened to Rick Moranis?